It's winter here in Belgium! 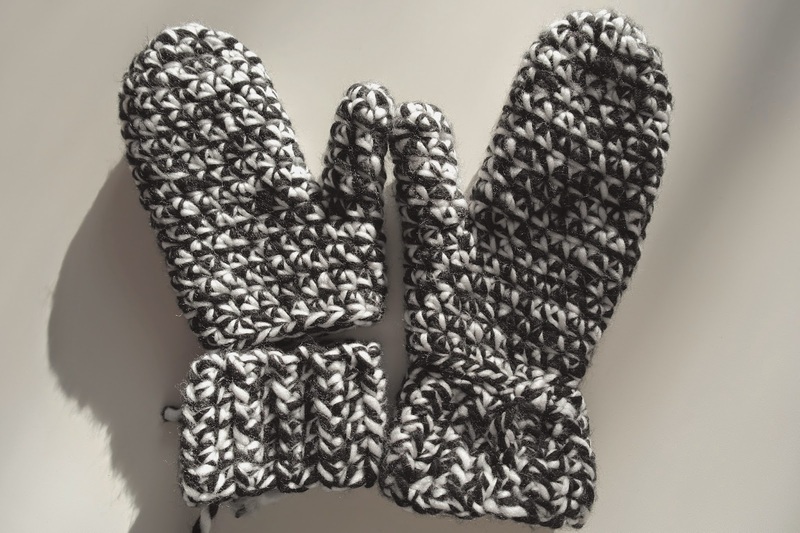 And my hands are always very cold, so I crochet my own mittens. It's a pattern I made by myself, because I couldn't find one on internet. 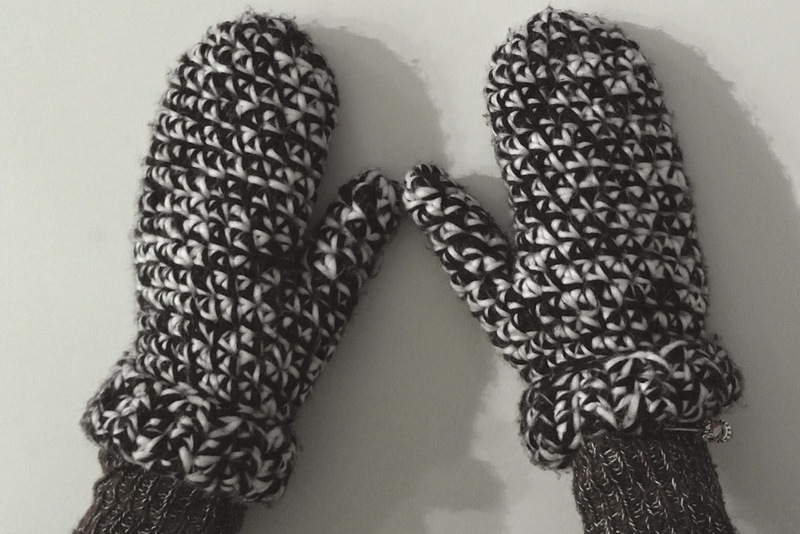 I made the mittens on the size of my hands, so maybe you has to change it a little bit if you have larger or smaller hands. You only need two balls of wool and a crochet needle of 9mm. 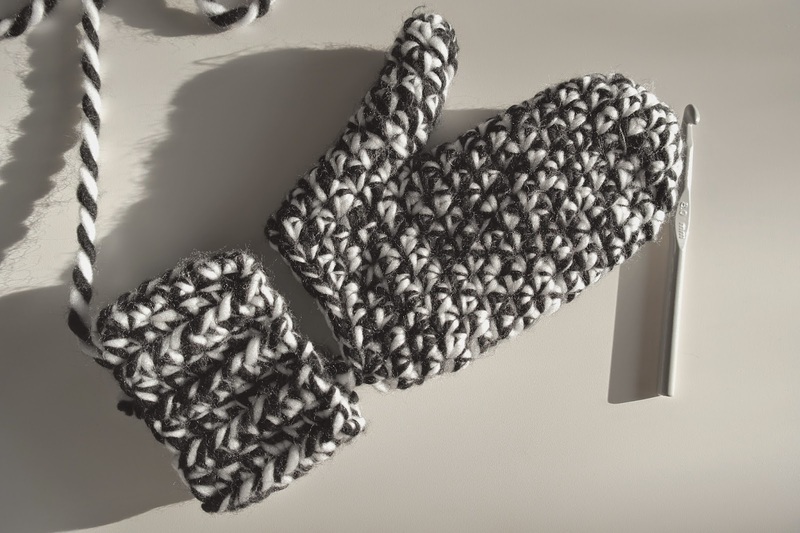 And finally you have to make the board of the mitten, this is hooked in rows and afterwards sewed to the mittens. I think they are beautiful! Can't believe you made your own pattern, I always think knitting is very difficult, but maybe one day I'll give it a shot!